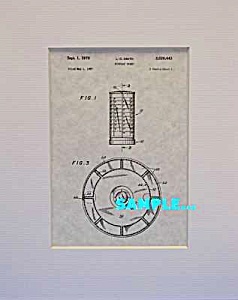 1970s Patent document [Matted for Framing] for design of a Display (for the 75 Matchbox Models of the year) by Mr. Smith for Lesney Products in London. I remember this one. We have other matchbox toy patents on this site.